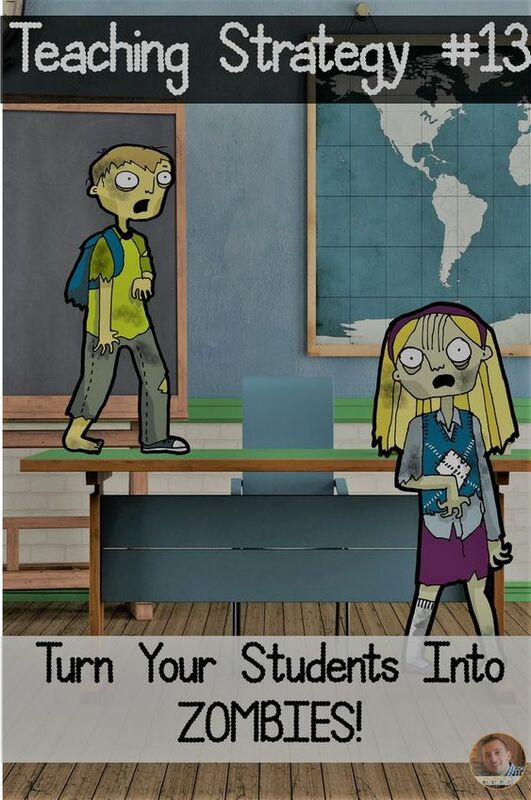 Okay, okay, you’re not really going to turn your students into REAL zombies, but this is even better and will help big time with your classroom management! What? : This strategy is a way to help grade papers in your classroom quickly and easily, using other students to help you. Why? : Because, who doesn’t want to grade papers quickly and easily, WHILE engaging kids? When? : I find this strategy works best with math, but I’m sure that you could use this during other times, too! How? : I have always had student helpers in my class. They finish early, they get their math questions all right, and then they say, “What do I do now?” So, I started saying to these kids, once you finish and you have ALL of your problems correct, you have been infected…you are now a ZOMBIE! That student then goes off to correct another student’s paper when he/she is finished. The ZOMBIE circles the problems that may not be correct or helps a student if they are having difficulty with a problem or two. I continue correcting work, focusing in on those students who I know absolutely need my assistance, eventually turning them into ZOMBIES, as well. Our goal is to help everyone in the classroom until every question is correct and EVERY student is effectively turned into a ZOMBIE! I can’t even tell you how motivating this is for students. Student don’t rush because they know they know they need to get the questions correct. Students also seek out help from zombies when they’re stuck, because they want to become a zombie! And, I promise you that watching this go down in your classroom is the funniest thing ever. The kids are walking around like zombies and making grunting noises! Try this strategy out and let me know how it goes! Click here to find a fun zombie area and perimeter pack you may like, too!